Endosteum is a thin layer of connective tissue that lines the inner surfaces of all bones (the cavities within the bone). Here is a video that shows how endosteum contributes to the growth of the osteons in the cortical bone. 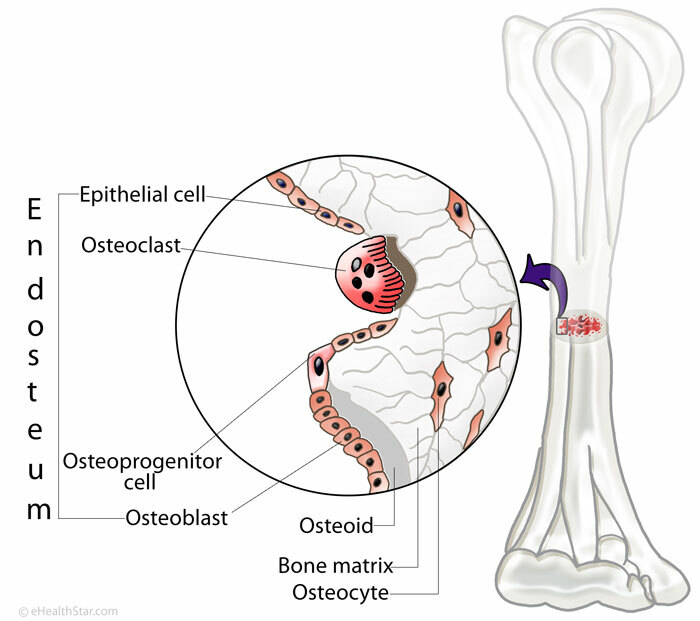 Endosteum stimulates bone resorption on the inner bone surfaces and periosteum stimulates the formation of the new bone on the outer bone surfaces — this way the diameter of the medullary canal and the bone as whole increases with age 11. 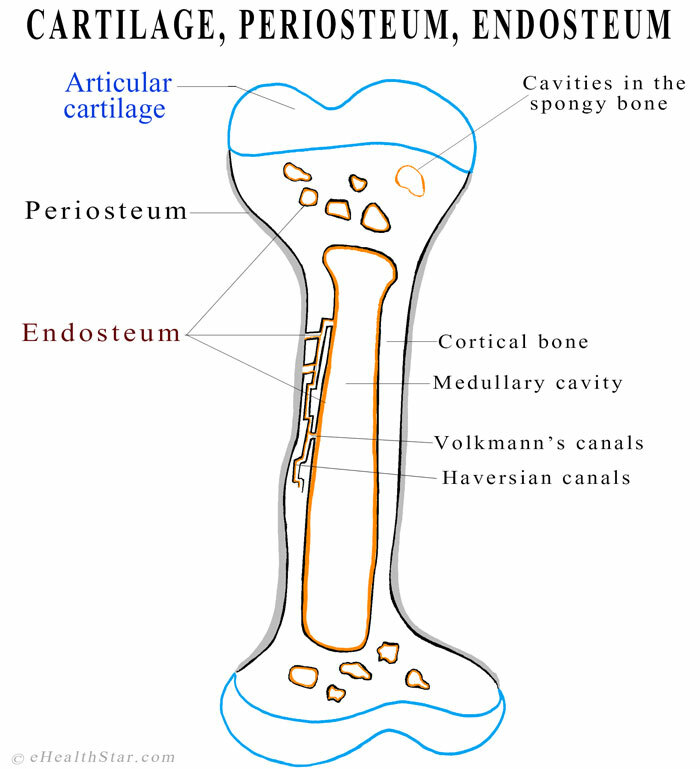 Endosteum is found on all internal surfaces of bones: the medullary cavity, the hollow spaces in the trabecular (spongy) bone, Haversian (osteonic) and Volkmann’s (perforating) canals in the cortical (compact) bone of the long bones, such as humerus and femur, flat bones, such as ribs 5 and pelvic bones 6, and sesamoid bones, such as patella 10. NOTE: The surface of the skull bones that faces the brain is not covered by endosteum, but periosteum, which is a part of dura mater. Endosteum covers the cavities within the skull bones, though. According to Netters, the endosteal layer is firmly and lavishly attached to the skull, followed by the periosteum. Your thoughts? Endosteum is innervated mainly by the sympathetic autonomic nerves that regulate the tonus of the blood vessels. These nerves run along the arteries. Periosteum also contains sensory nerve fibers but I’m not sure if endosteum does. Madhur: periosteum, cortex, endosteum, medulla.